City Kids will hold an all-classes event in the Multipurpose Room starting at 9:30pm. 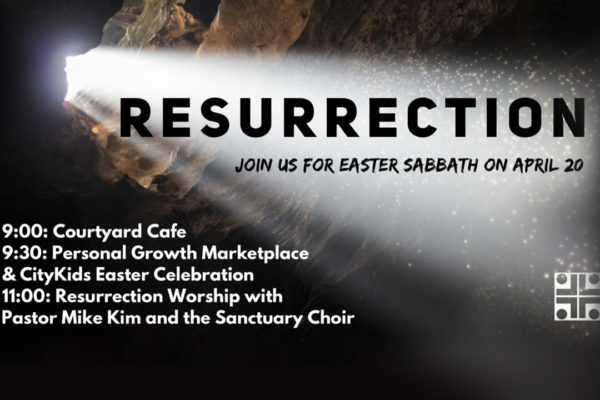 There will be games, crafts, worship, puppet show and an egg hunt. Following worship service, there will be a poluck in the Fellowship Hall. Bring a favorite dish to share. All welcome. At 6:30pm join the City Kids and Open Door for Courtyard Campfire. Bring a snack to share for this evening family worship in song.